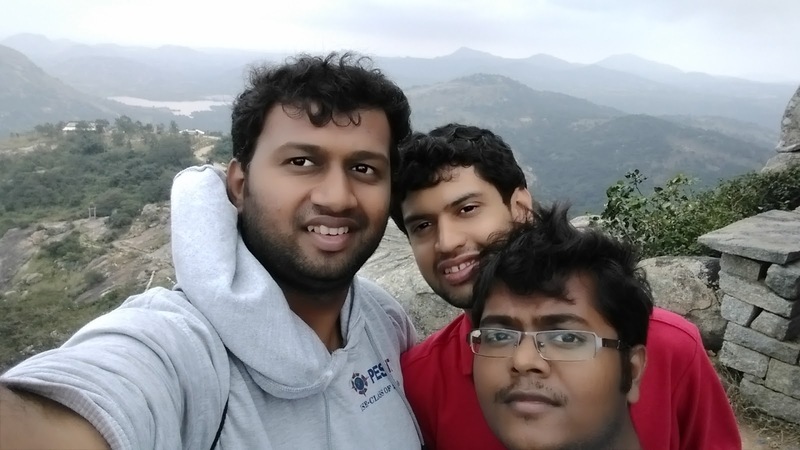 We had a car and started from Hebbal at around 8am. We stopped by a hotel after Devanhalli for breakfast. 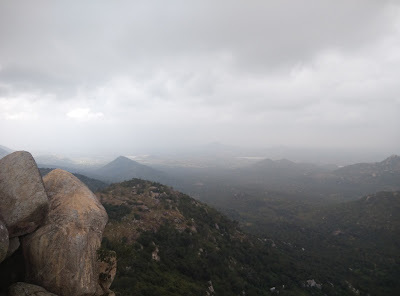 We were afraid that by the time we reached these places it would be noon and we would have to face the wrath of the sun but to our surprise these locations were cool and cloudy. 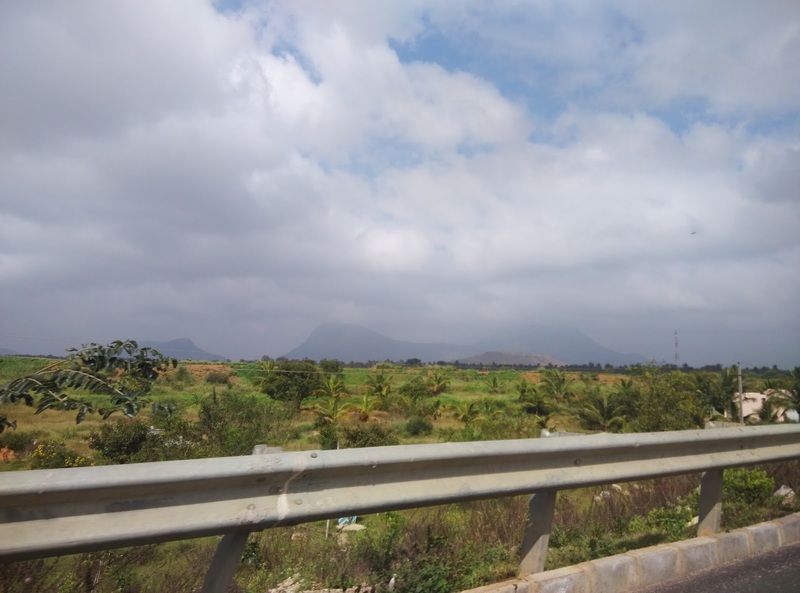 Most of the drive is on the highway so except for the toll gate, you could just cruise till you reach Periyasandra Circle. In case you still miss the route, you shall end up at a reservoir and the roads would disappear. 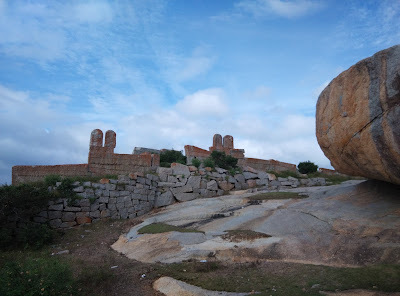 This is when you go in reverse till you find a place to turn your car around. Once you reach the hill top you can park your vehicle and climb up to the temple. There are around 100 steps and you will have an amazing view as you climb up the steps. 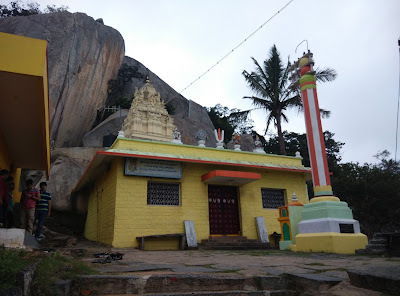 The temple is of Lakshmi Narsimha. 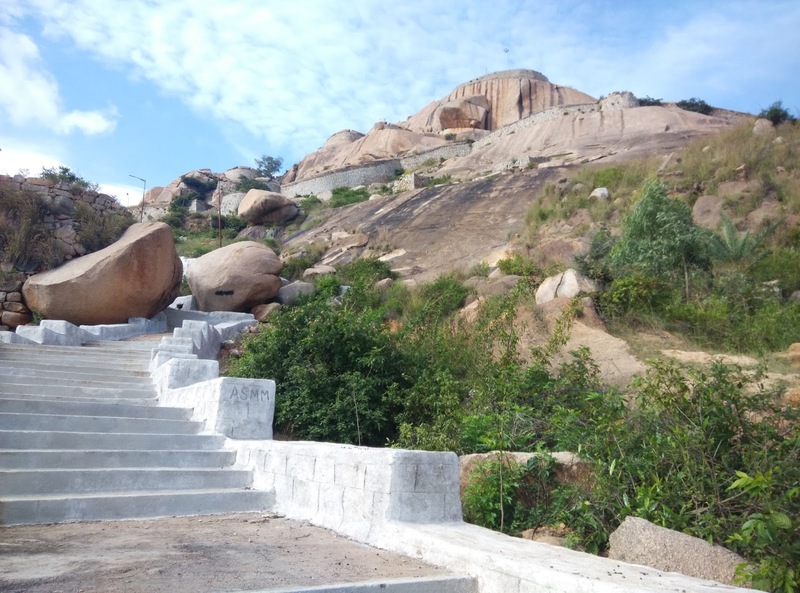 On either side of the temples there are steps which lead to 2 different locations. 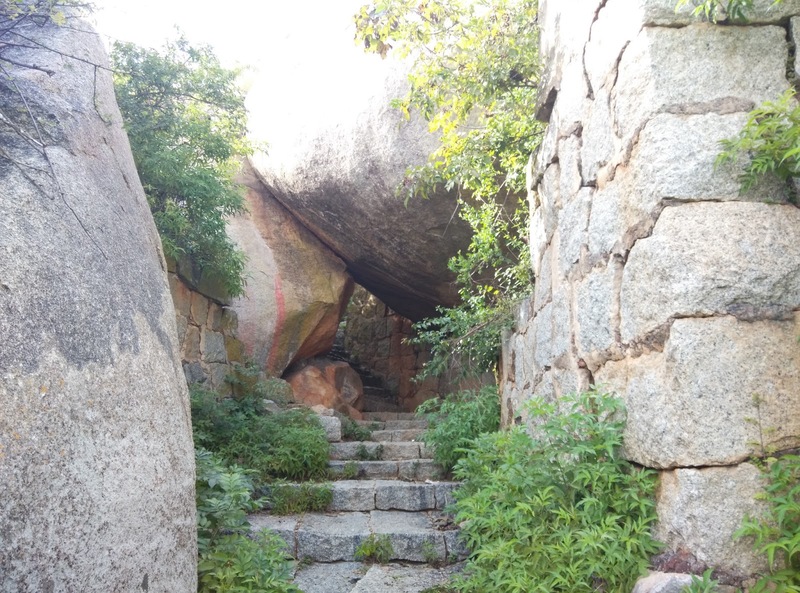 If you take the steps to the left, you will end up at another temple which is mostly closed. 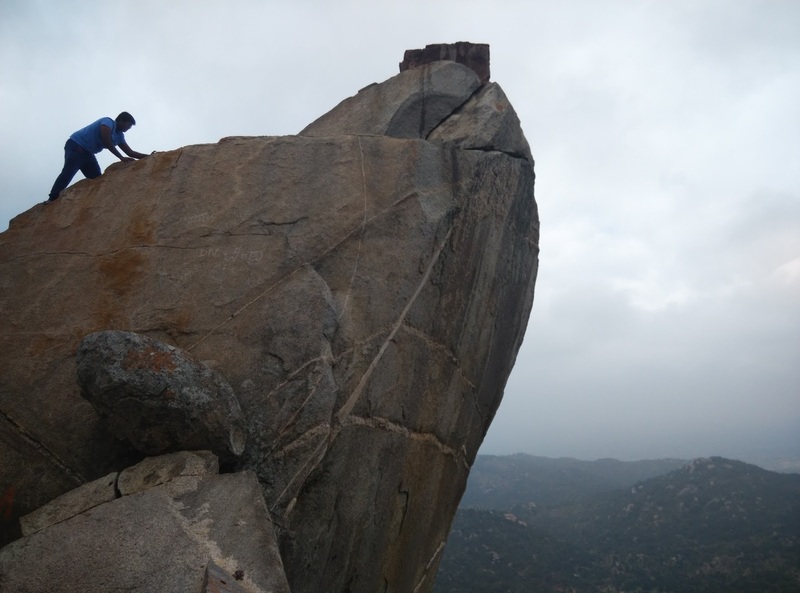 There is a huge rock, climbing which is challenging. 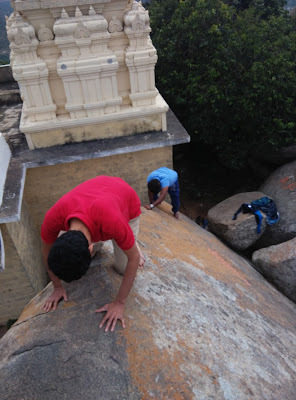 I was really scared to climb but thanks to friends, I gathered courage to climb it. The climb up was totally worth it. You truly feel being on top of the world. From here you can go to Gudibande. 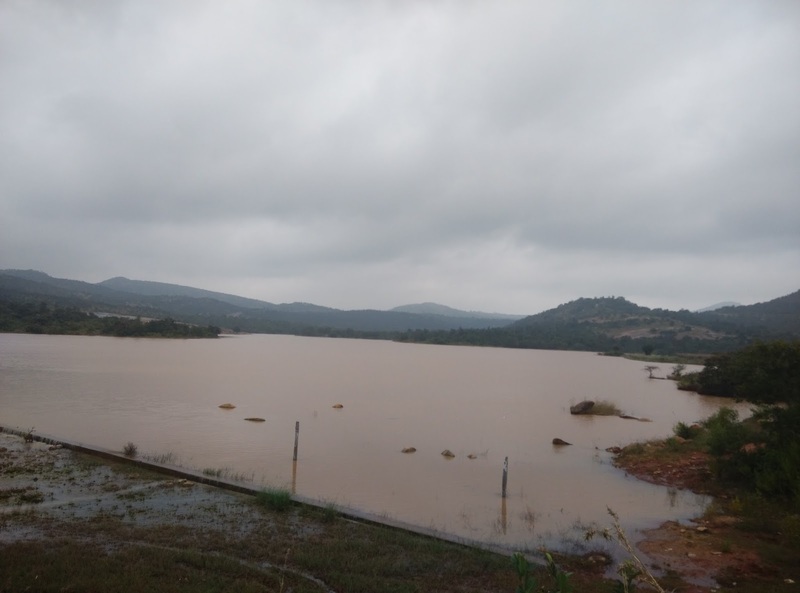 There is a huge lake on the route. 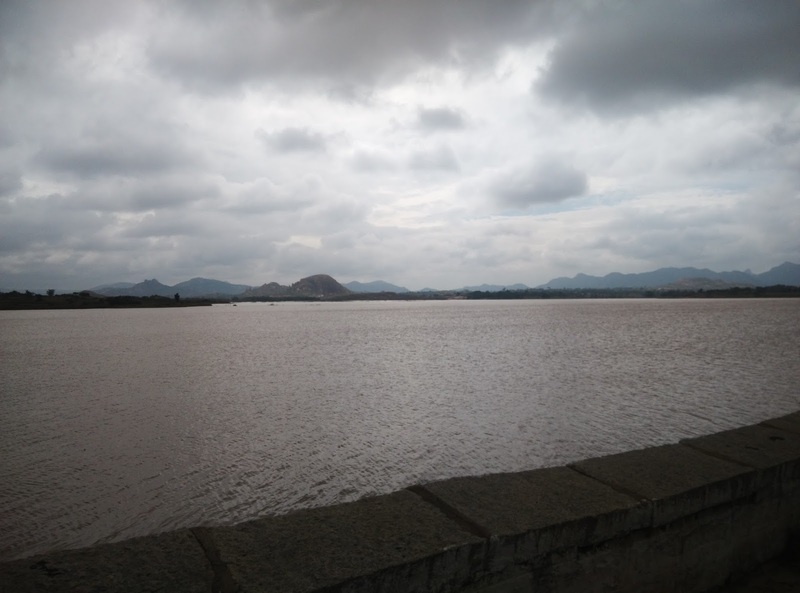 At the end of the lake there is an Andra style hotel. 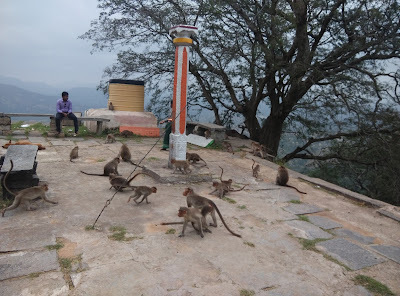 We stopped there for lunch. 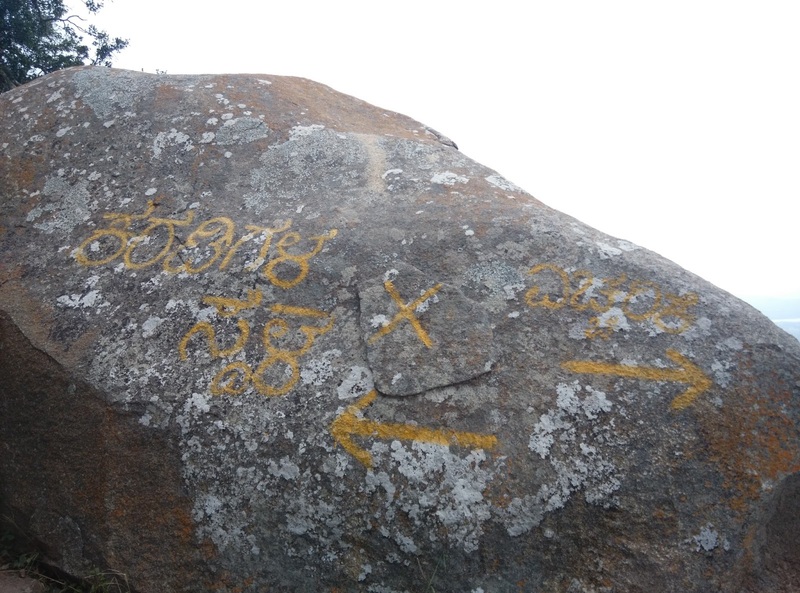 Gudibande had signs of some investment towards tourism. 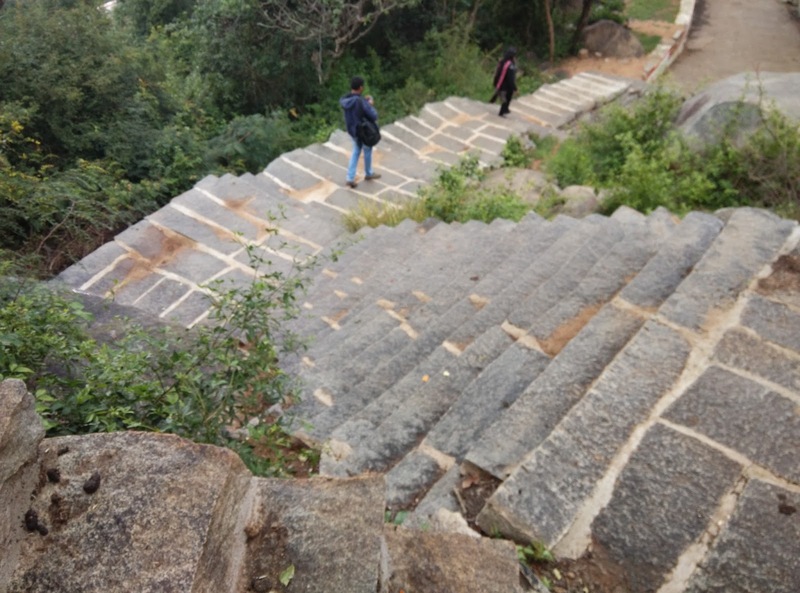 The entire path to the top of the fort has properly built steps but sadly no toilets in both locations. Climbing up the fort was tiring for two reasons. 1) Its just steps and hardly any walk on the flat surface 2) We just had our lunch. 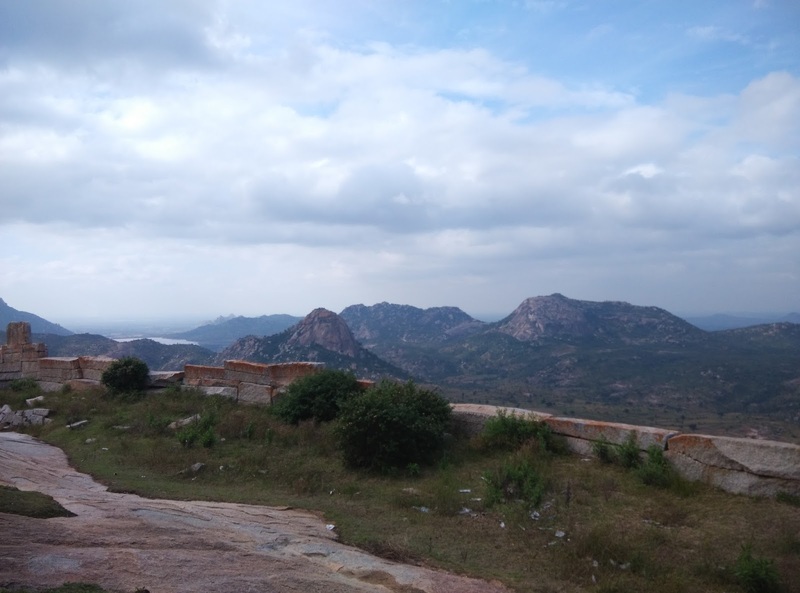 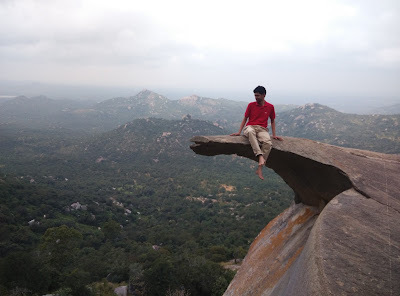 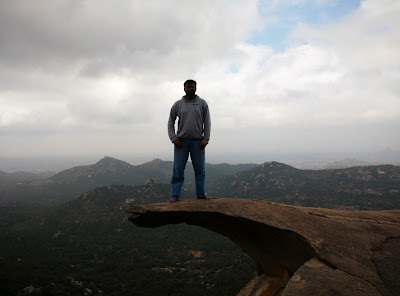 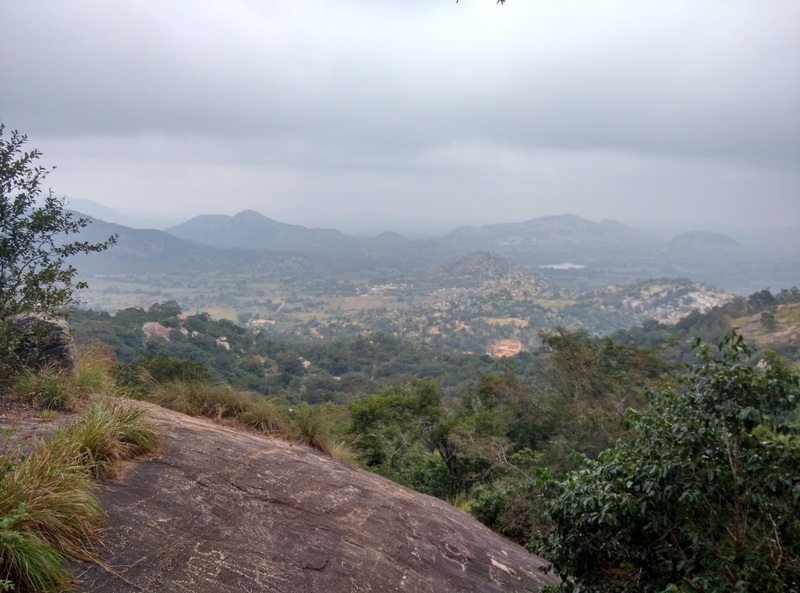 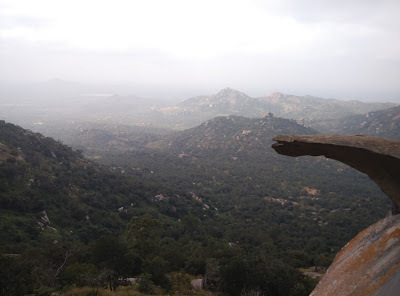 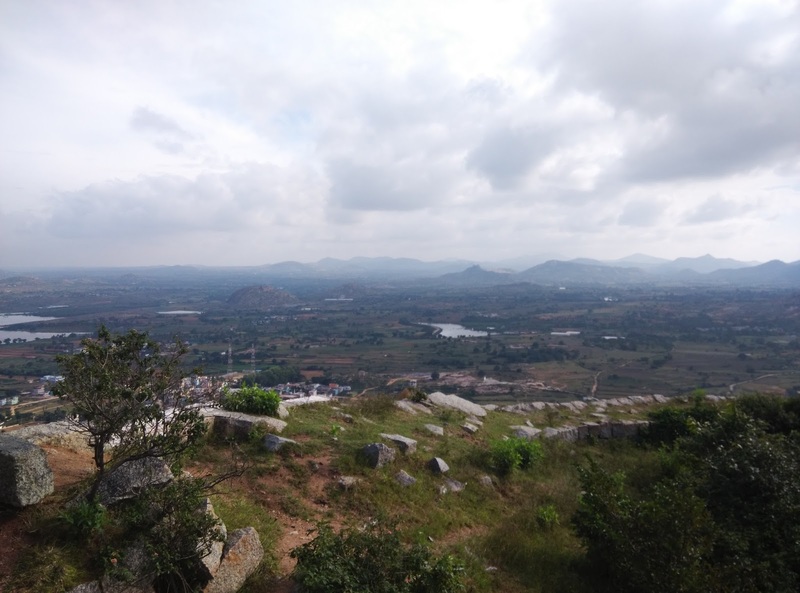 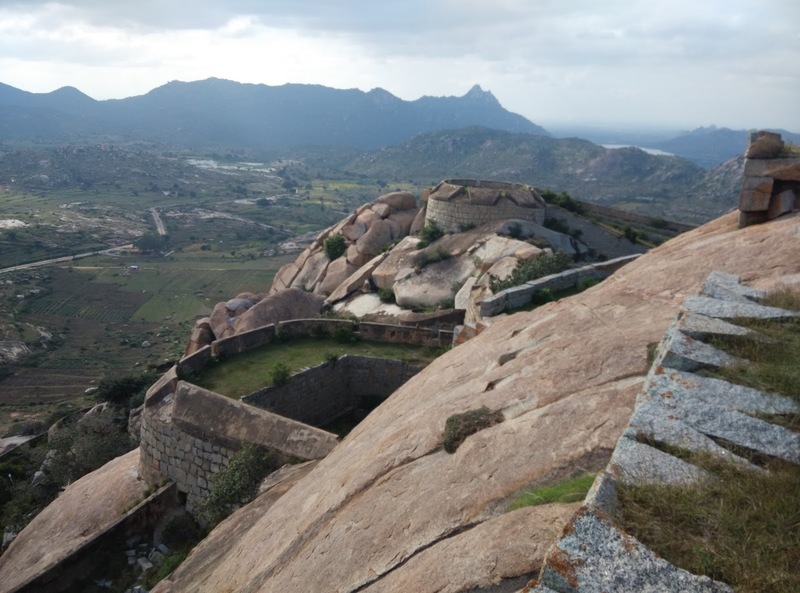 Conquering this fort is similar to Madhugiri. There are a series of doors that will lead you to a small temple to the top. 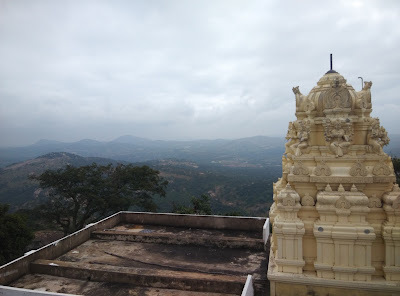 It is like the people in old days did not know how to get people to exercise, so they build temples on hill tops (quite possible right). 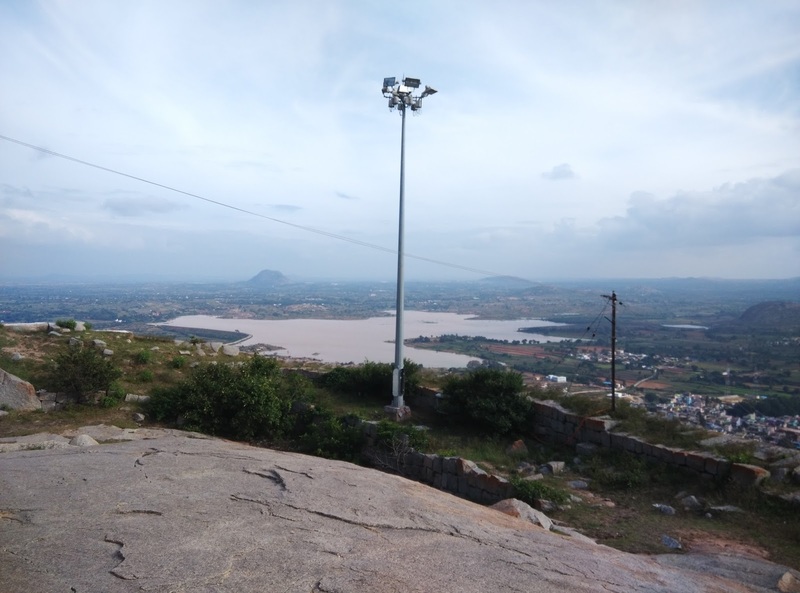 You can view the lake that you passed by and also the nearby hills from the top. There is a lot of breeze that will make you forget the tiring climb. We could climb down in 25mins without stopping. The highway has a lot of places that you could cover when planning this trip.